Rhythmic, soothing and danceable – it’s no wonder reggae music remains wildly popular 35 years after the death of icon Bob Marley. This revered musical style will echo through Downtown Lakewood this Friday, Aug. 26, at 7 p.m. when Outlaws I & I performs at LakewoodAlive’s Front Porch Concert Series. The Front Porch Concert Series has featured six different musical genres thus far during the summer of 2016. Sponsored by Bentley Wealth Management of Raymond James, the Front Porch Concert Series features free, live music on the front porch of Lakewood Public Library (15425 Detroit Avenue) in Downtown Lakewood for 12 consecutive Fridays. The series, which aims to foster and sustain Lakewood’s vibrancy while providing a family-friendly summer entertainment option, runs through September 16. Week 9 of the series brings to the stage Outlaws I & I. This five-man reggae band from Cleveland has toured extensively throughout the country, playing national festivals such as Ohio’s acclaimed Midwest Reggae Fest and opening for legendary performers like The Wailers. Outlaws I & I specializes in traditional roots reggae, though it also mixes in music that falls under the dancehall, ska and R&B categories. Led by lead vocalist Butchie B’s commanding stage presence, the band creates a fun atmosphere for its audience and often induces dancing from the crowd. 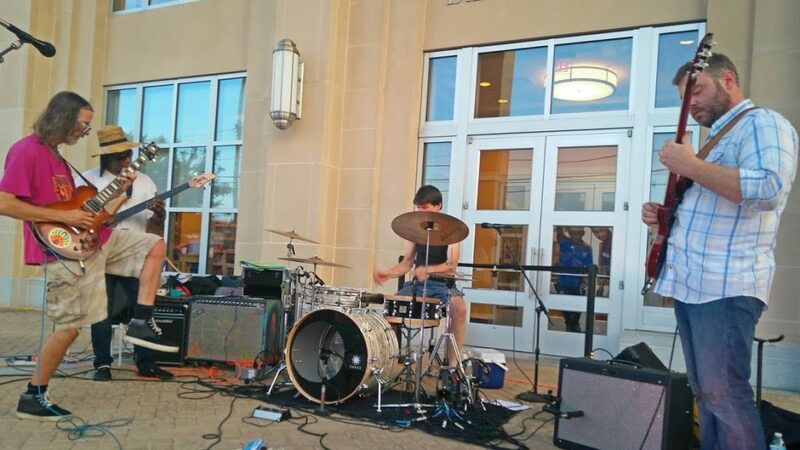 Now in its sixth year, the popular Front Porch Concert Series adds vibrancy and an enhanced sense of community to Lakewood’s urban core, drawing several thousand attendees annually. Each week showcases a different style of music while Lakewoodites and visitors enjoy an entertaining evening at an open-air venue. Attendees are encouraged to bring family, friends, snacks, blankets and chairs. The Front Porch Concert Series is generously supported by the following sponsors: Bentley Wealth Management of Raymond James, Cuyahoga Arts & Culture, City of Lakewood, Cox Communications, Discount Drug Mart, Lakewood Public Library, Lion & Blue, Paisley Monkey, Pillars of Lakewood and Vance Music Studios.